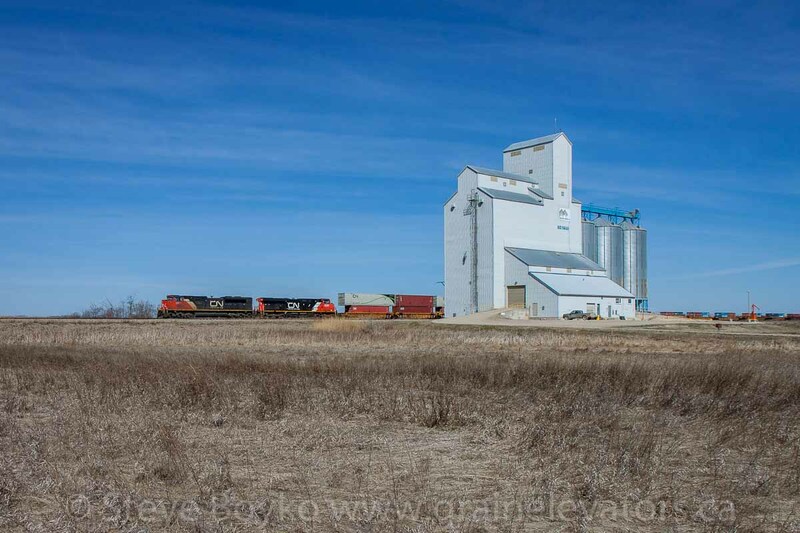 CN train passing the Norman, MB grain elevator, April 2016. Contributed by Steve Boyko. 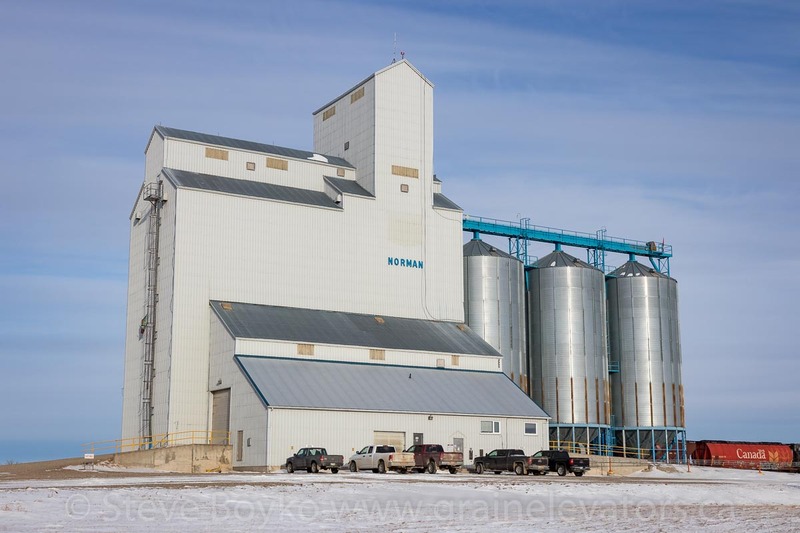 The Canada Malting grain elevator at Norman Siding, near Rivers, Manitoba, was built by UGG in 1983. The grand opening was held on October 11, 1984 and the elevator was operated by UGG until 2005. 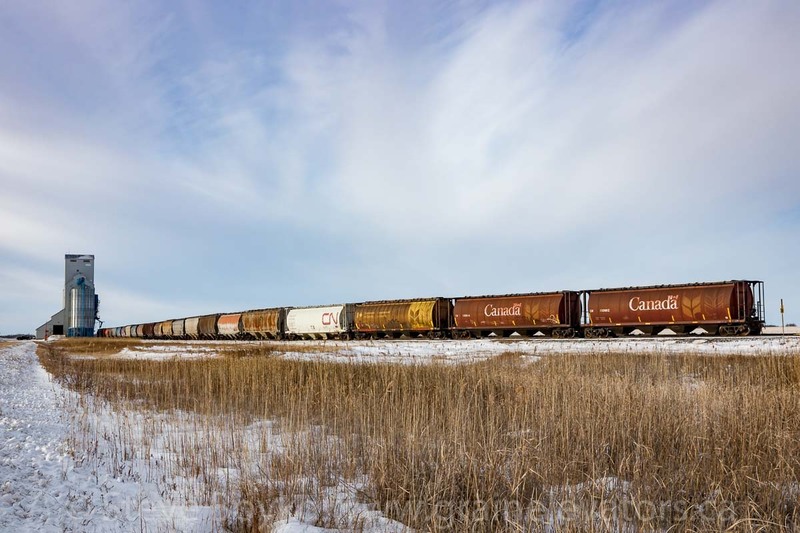 Grain cars at the Norman, MB grain elevator, Dec 2017. Contributed by Steve Boyko. 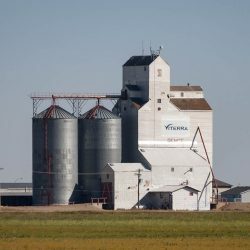 The elevator was acquired by Canada Malting and is in operation today. It has a capacity of 5,500 tonnes and has room for 23 rail cars for loading. It is served by CN on the CN Rivers subdivision. 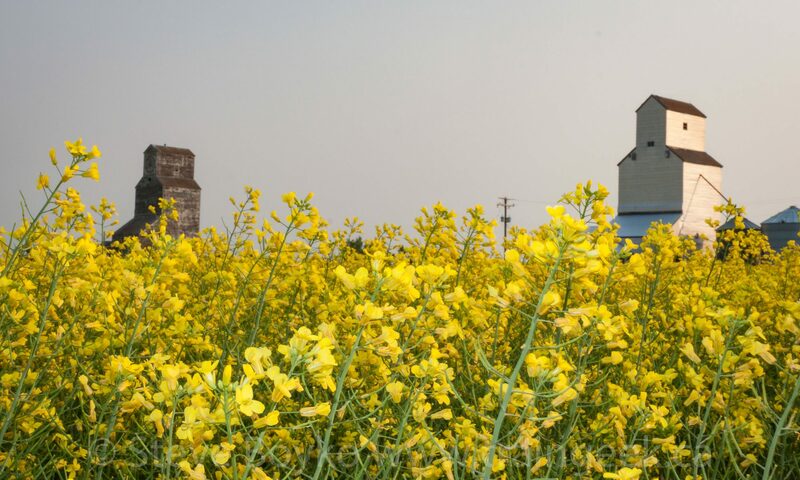 The Norman, MB grain elevator, Dec 2017. Contributed by Steve Boyko. This elevator is a close cousin to the Mariapolis grain elevator, also ex UGG.